A blueprint for thriving in your job and building a career by applying the lessons of Silicon Valley’s most innovative entrepreneurs. The career escalator is jammed at every level. Unemployment rates are sky-high. Creative disruption is shaking every industry. Global competition for jobs is fierce. The employer-employee pact is over and traditional job security is a thing of the past. Tony Robbins has coached and inspired more than 50 million people from over 100 countries. More than 4 million people have attended his live events. Oprah Winfrey calls him “super-human.” Now for the first time—in his first book in two decades—he’s turned to the topic that vexes us all: How to secure financial freedom for ourselves and our families. It contains >160 HR tech vendors that are disrupting the world of work. Simply subscribe to my newsletter and get the download link. I’ll never send you spam, and I’ll never share your email address with anyone. You can unsubscribe anytime. I am presently the Regional Leader for Client Solutioning at PeopleStrong, focusing on market in Asia Pacific (ex India). Been in HR since 2004, from recruitment businesses to career coaching agency to HR consultancy and resume optimisation platform. On this blog, I cover the people behind emerging HR Tech. 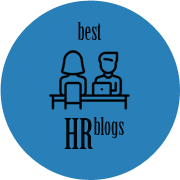 If you want to learn more about HR Tech, you are in the right place. Welcome! Currently the Regional Leader for Client Solutioning for PeopleStrong, I was in the recruitment industry for more than a decade. Co-founder and former MD of RecruitPlus Consulting (exited), I also co/founded CareerLadder (exited), The Resource Group (exited) and Career Hero. I am married and have four kids. I live in Singapore.